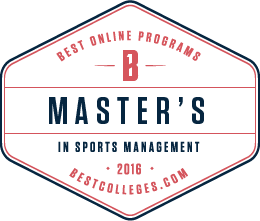 Students attempting to gain admission to the Master of Sport Science program must submit all of the following applicable documentation for review. See the complete Admission Requirements in the Academic Catalogs. If you plan to use Financial Aid at some point while you are attending the Academy, please go to http://www.fafsa.ed.gov and fill out the current year’s FAFSA. This will help speed up your admissions process. Note: please include the Academy’s federal code (021706) on your application. All prospective students are required to complete the online application form and pay the $50 application fee. All previous official transcripts are required. Full disclosure of all institutions attended and official transcripts from each institution is necessary and mandatory. Failure to do so may delay the application process and/or disqualify a student from admission. Official transcripts may be sent electronically by the registrar using a secured electronic submission system (e.g., Parchment, Clearinghouse, E-Script).  Send secure electronic transcripts to: admissions@ussa.edu. Official transcripts on paper should be sent in a sealed envelope to Student Services Admissions Office. A minimum GPA of 2.5 is required for admission. Applicants who do not satisfy the required minimum GPA stated will be referred to the Admissions Committee. The Committee may request additional documentation, including test scores (e.g. GRE, MAT, or GMAT take n within the last five years). The Recommendation Form and the FERPA Release must be completed and returned. This portion of the application process is not complete until both forms are received. The applicant must prepare a written personal statement presenting (in narrative form) an autobiography, career plans, and expected goals for pursuing the M.S.S. at the United States Sports Academy. The Personal Statement should be saved as a .doc file and sent to admissions@ussa.edu. Please use the Writer’s Guide for the Personal Statement. In addition, the essay must be written in accordance with guidelines set forth in the Publication Manual of the American Psychological Association (most recent edition) or Concise Rules of APA Style (most recent edition). For more information, got to http://www.apa.org. All prospective students are required to complete the online application form and pay the $125 application fee. *Applied to International Students only. Official results of the Test of English as a Foreign Language (TOEFL) verifying a minimum score of 550 for full-standing admission or a score of 500-549 for conditional admission. An Internet-based score of 79 or above is required for full-standing and a score of 61-78 is required for conditional admittance. ** Applies to International Students only. Official report from an Approved Educational Credential Evaluator. SEVIS Fee. Effective 1 September 2004, students are responsible for paying the $200.00 SEVIS fee for non-immigrant students and visitor exchange. See http://www.fmjfee.com for information. Financial Resource Evidence. Documentary evidence in the form of a certified letter from a bank, a sponsoring government agency, a sponsoring company or another acceptable third party source stating the amount of financial resources available and/or amount guaranteed to provide for transportation and normal living expenses for the period of time to be spent in the United States.